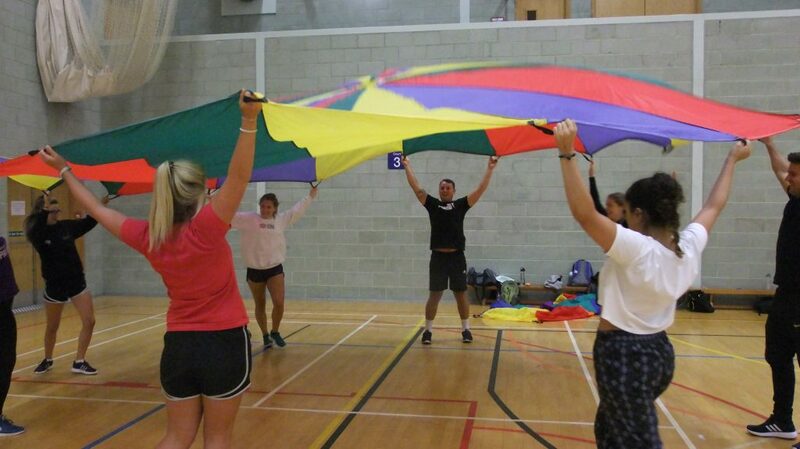 PE and Dance Trainee Teachers took part in disability sport awareness training as part of their induction into their PGCE/School Direct training. Students learnt more about the games of Boccia, sit-down volleyball, new age kurling, goal ball and parachute games. The emphasis of the day was on equity and inclusion in physical education and the training was designed to help trainees have a secure understanding of how a range of factors can inhibit pupils’ ability to learn, and how best to overcome these. The day also provided students with an awareness of the physical, social and intellectual development of children and how to adapt teaching to support pupils’ education at different stages of development, including those with additional educational needs and disabilities, so that they can use and evaluate distinctive teaching approaches to engage and support them. PGCE and School Direct PE route Leader Dr Gary Stidder said: “Adapting teaching to respond to the strengths and needs of all pupils is an essential quality of all PE and Dance teachers so that they know when and how to differentiate appropriately, using approaches which enable pupils to be taught effectively.